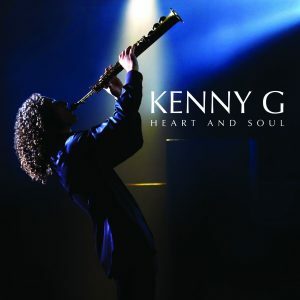 Kenny G took a detour on 2008’s Rhythm & Romance, crafting a full-fledged Latin dance album, but he returns to basics on its 2010 sequel Heart & Soul, his first collection of new pop-oriented material since 2002’s Paradise. Like that album, Heart & Soul is largely a collaboration with Kenny’s longtime producer Walter Afanasieff, and that’s not the only familiar name here, either: Babyface sits in for a song, just like he did on 1996’s The Moment. There are plenty of familiar sounds and grooves peppered throughout Heart & Soul — his soprano sax always stays in its sweet spot, the synthesized funk rhythms keep things tight, while the glaze of electric pianos keep, things smooth, the melodies of the songs threaten to turn into covers but never go all the way — but familiarity is the point of this album, as it is on so many of Kenny G’s other albums. It’s not meant to challenge, it’s meant to soothe by offering more of the same formula he’s been peddling since 1986. Detractors will carp, albeit with considerably less fervor than before, while fans will enjoy another record that gives them precisely what they want.